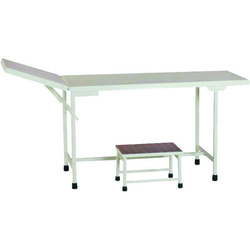 Clients can avail a fascinating range of Hospital Table for using in varied applications. All the products are highly in conformance with the set industrial guidelines and quality norms. We have make use of sophisticated technology and top grade raw material in manufacturing this range as per the market trends and the desired specifications of the clients. 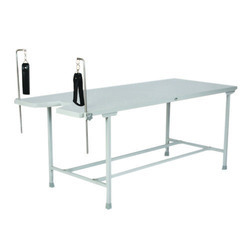 Since the day of inception, we are dedicatedly engaged in catering the patrons with an excellent range of Hospital Operation Table The offered product is fabricated in the sophisticated and hygienic environments and are available with a stainless steel kidney bridge and a detachable folding foot end. We provide this range in standards sizes ranging from 750 mm to 920 mm in the desired specifications. Available in stainless steel top & epoxy powder coated base. With vast industrial experience, we are involved in offering a wide range of Hospital Labour Table. 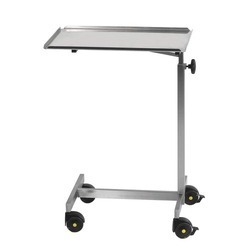 With vast industrial experience, we are involved in offering a wide range of Hospital Food Table. 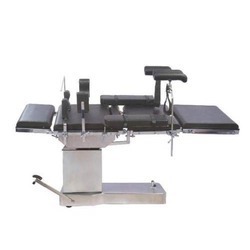 We are offering Hospital Simple Examination Table to our clients. 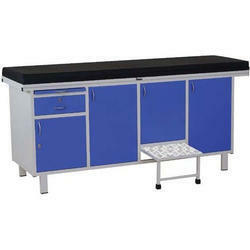 With vast industrial experience, we are involved in offering a wide range of Hospital Examination Table.